We were pleased to pick up this cracking filly by the sire of the moment in Zoustar. His stakes winners to date included Sunlight, Zousain, Lean Mean Machine and Persuader. 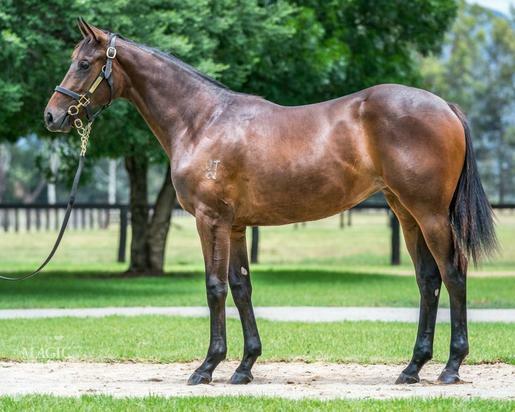 His popularly was on display already in 2019 with 40 at the magic millions sale, lots selling well north of 1 million dollars. The Mischief N Mayhem filly was a standout for us, She had a real presence when she walked and with the strong pedigree behind her post racing career looks secure. She looks the ideal 2yo type of horse to target the Magic Millions in 2020. Hello, I'd like to know more regarding the horse 'Zoustar X Mischief N Mayhem' you have listed as available.